The myFord Finance Ford Mustang Future Options program is available across the entire Mustang range. Under the program, you get all the benefits of a fixed payment finance contract, plus the option to sell your Mustang for the Guaranteed Future Value Price# in two years time, when your finance contract comes to an end. Call Warwick on (07) 5428 9900 to enquire today. Ford Mustang Future Options works with your two year finance contract, which will have a final repayment amount based on the expected Guaranteed Future Value Price#. The Guaranteed Future Value Price# is the pre-agreed purchase price for your Mustang in two years and will be reduced if your Mustang exceeds the kilometre limit or is not in Good Working Order and Condition& at that time. During the final month of your two year finance contract, you have the option to sell your Mustang for the Guaranteed Future Value Price#. This will be applied against the amount owing on your finance contract and if there is any shortfall, you pay the remaining balance. Design your Ford Mustang Future Options finance contract in three simple steps. In two years time, choose from three options. Return your Mustang to your nominated Ford Dealer for inspection before the end of two years. If you choose, we’ll arrange for your vehicle to be purchased by our arranged buyer for the Guaranteed Future Value Price#. This is then applied against the amount owing on your finance contract and if there is any shortfall, you pay the remaining balance. 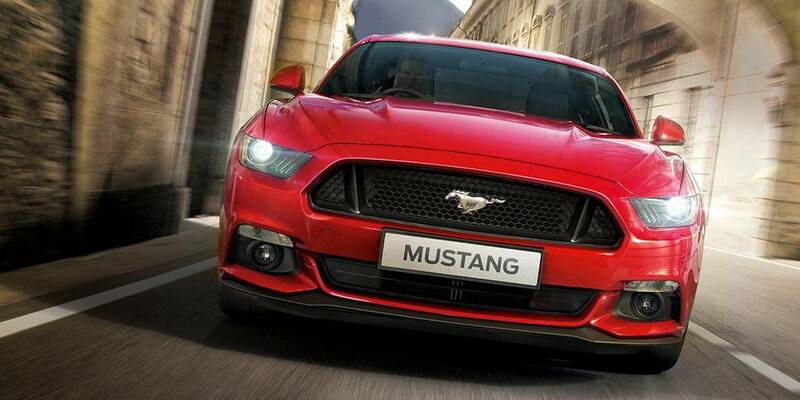 Take your Mustang to a Ford Dealer and trade-in for a new car. If the trade-in value is higher than the amount owing on your finance contract, you can put the difference towards your new car. Keep your Mustang by paying the amount owing under your finance contract or refinance^ the amount owing when your finance contract ends (subject to credit assessment). # The Guaranteed Future Value Price is the pre-agreed purchase price for your Mustang in two years. This price will be reduced if your Mustang exceeds the kilometre limit or is not in Good Working Order and Condition. At the end of two years, you will have the option to sell your Mustang to our arranged buyer, subject to meeting certain pre-conditions. The Guaranteed Future Value Price is not a representation of the market value of your Mustang on or about the end of your finance contract. Terms, conditions, fees and charges apply and are available upon request. * 10,000, 20,000 or 30,000 kms over two years. If you exceed the kilometre limit, the Guaranteed Future Value Price will be reduced. ^ Refinances are subject to a new credit assessment. Vehicle finance and The Ford Mustang Future Options provided by Macquarie Leasing Pty Limited (trading as myFord FINANCE) ABN 38 002 674 982 (Australian Credit Licence Number 394925) (Macquarie Leasing). The Ford Mustang Future Options is only available if taken up from Macquarie Leasing in connection with an approved consumer loan or commercial chattel mortgage product for qualifying new MY17 Ford Mustang vehicles from a participating Ford dealer, delivered and financed by 31 January 2018, unless withdrawn earlier or extended at the discretion of the financier. Finance and The Ford Mustang Future Options is provided by Macquarie Leasing to approved applicants (not available to fleet, government or rental buyers), subject to its credit assessment criteria. Approved commercial applicants with an ABN may be required to remit GST to the Australian Tax Office as a result of the sale of the vehicle to our arranged buyer under the Ford Mustang Future Options and should seek independent tax or accounting advice. Terms, fees and charges are applicable. Full conditions available on application.